Have a Heart is a great way to express your love for someone special. 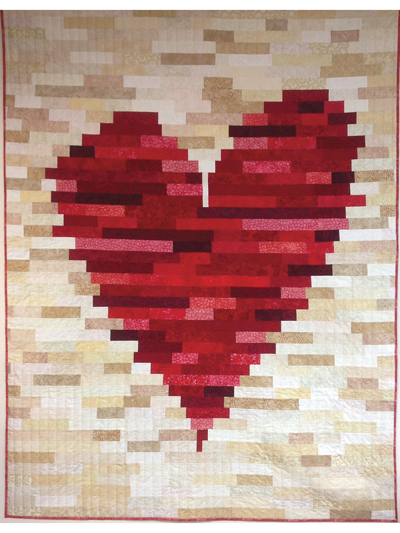 Use your favorite color to make this lovely quilt. The large quilt is jelly roll friendly or feel free to reduce your stash by using scraps. Size of large quilt: 74' x 90". The small quilt would make a great walll hanging or baby quilt. Size of small quilt: 37" x 45". To purchase the pattern, click the following link.